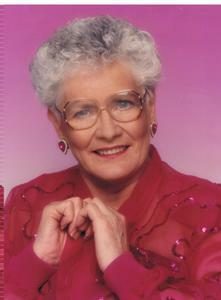 Ruby Pearl Kelly, 86, of Hazen, died November 8, 2014 at Baptist Health in Stuttgart. She was born south of Carlisle on February 22, 1928. She was retired from Remington Arms Corp. Ruby was preceded in death by her parents, Ernest and Maudie Ingle; her husband, Robert Kelly; an infant son, Bobby Joe; infant granddaughter, Gracie Chase; two sisters, Hazel Newton and Carolyn Jackson and one brother, Franklin Ingle. Survivors include two daughters, Linda Graves and husband, Tommy of Hazen and Sharon Fairchild and husband, Jim of Cabot; two brothers, Bobby Ingle and Ernest Dale Ingle both of Hazen; three sisters, Faye Spicer of Fayetteville, North Carolina, Joyce Sok of Downey, California, and Dorothy Mertsoc of Encinitas, California; four grandchildren and seven great-grandchildren. Funeral services will be 10:00 A.M., Tuesday, November 11, 2014 at the Center Point Baptist Church with burial in Walter’s Chapel Cemetery south of Carlisle. Visitation will be from 6:00 to 8:00 P.M. Monday, November 10, 2014 at Westbrook Funeral Home in Hazen. Lord, Thank you for blessing us with this very special lady! May she rest in everlasting peace. As you know, her road here has been rough, but now she is wrapped in your glorious love and walking streets of gold. She well deserves it all!